It's cool night in June and the sun is setting over the Kawuneeche Valley. Clouds in the sky obscure the sunset but also help to paint this landscape on the west side of Rocky Mountain National Park in a pinkish hue. 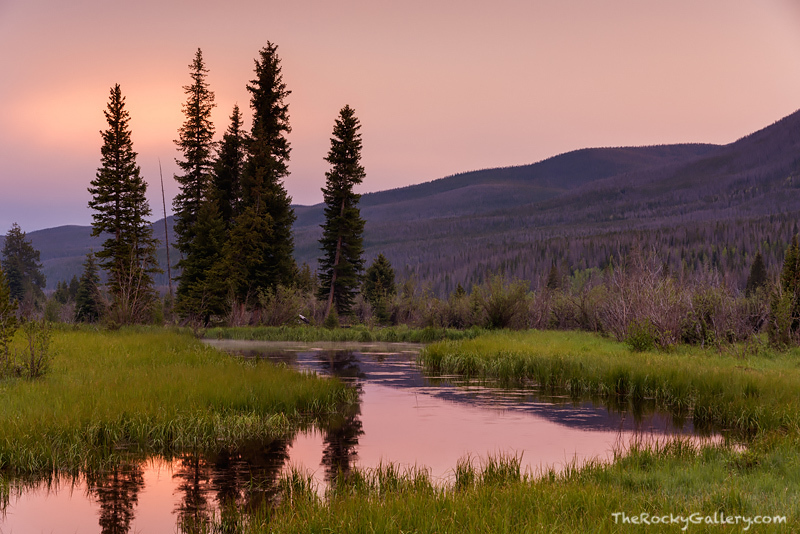 Shortly after photographing this location which is stones throw from the Colorado River, I watched a pair of Moose wade out into the water and spend the next few hours eating amongst the lush grasses and willows found in the Kawuneeche Valley. Photo © copyright by Thomas Mangan.